Tito Francona, one of the great baseball players in the Cleveland Indians pantheon, died Tuesday night. He was 84. Francona’s Major League legacy looms well beyond the realm of numbers and statistics. He’ll be remembered for his family—for his son Terry’s upbringing, surely—and for his dedication to baseball in America. Of course, the numbers are nothing to sneeze at. After 15 seasons and 5,121 at-bats, Francona left the game in 1970 with a .272 career batting average, a healthy sum of 125 home runs, and 656 RBIs. “Our hearts ache as truly one of the special men in Cleveland Indians history passed away last night,” Indians senior vice president of public affairs Bob DiBiasio said in a statement on Wednesday, as the team’s pitchers and catchers reported to the stadium in Goodyear, Ariz., for spring training. Francona played six seasons in Cleveland, including a 1961 run to his sole All-Star Game roster. He was a steel-city kid from Pittsburgh, who anchored a good life in Cleveland for a time in the early 1960s. While he was there, his son, Terry, was born. The younger Francona grew up in the dusty dugouts of Cleveland Stadium, which squatted on the shoreline of Lake Erie. His childhood was spent on baseball fields, with his Major League father watching from the stands. Tito ended his career as a journeyman, ultimately calling it after a brief stint in Milwaukee. There, before it was too late, he decided to take his 11-year-old son on a road trip with the Brewers. “It was the best 10 days of my life,” Terry later told ESPN. Indeed, Tito’s greatest contribution to the game was most certainly his fatherhood. More than 20 years into a Major League coaching career, Terry is considered one of the greatest MLB managers of all time; he now looks to his seventh year as the skipper in Cleveland. There’s a wonderful black-and-white photo that hangs now in Terry’s office at Progressive Field. 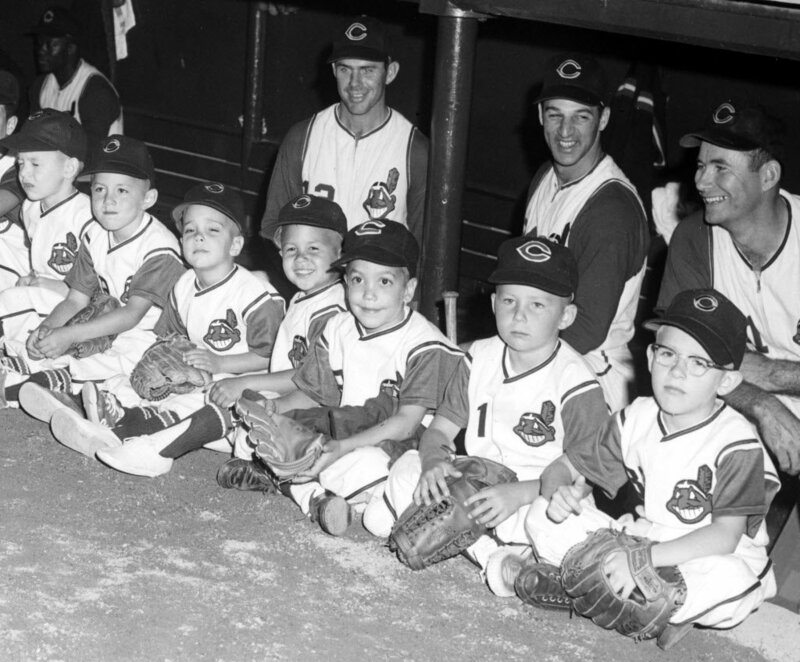 In the photo, Terry, all of 4, sits in a row of children in the Cleveland Stadium dugout. His father, Tito, then a stalwart 29-year-old shifting back to left-field after an uneasy stretch at first base in the early 1960s, stands behind the boys. The Franconas, father and son, are each laughing in the photo. They may be caught up in their own worlds—Major League Baseball, in one corner, and the idylls of childhood in the other—but they’re intrinsically tied the way all fathers and sons are. The game is simply an echo of their bond. Terry, who picked up the “Tito” moniker early on in his own career, mirrored his father’s time in both the outfield and at first base. He was drafted in 1980 by the Montreal Expos, where he played for five seasons before jumping around the league a bit as the decade went on. But it was as a manager that Terry’s career would flourish. Tito would often tune in to watch the games from his home in New Brighton, Pennsylvania. Now and then, in these last few years, he’d make the drive to Cleveland to see his son coach another baseball team to glory. He watched the Boston games, too, when Terry captained the Red Sox and led them to two World Series victories (and broke the team’s curse with a win in 2004). Still, you can’t sway a baseball fan entirely; Dad’s heart remained with the Cleveland Indians, and was all too happy when his son signed on with the Indians. “Terry has a good rapport with players. People here are really going to like him,” Tito said when his son joined the team in 2012.